This year may be drawing to a close, but Houston's restaurant scene shows no signs of slowing down. With Super Bowl LI squarely on the horizon, chefs are hurrying to get their new establishments open. After a year in which so many restaurants from out of town have opened in Houston, this month's group of restaurants bucks the trend by being almost entirely locally owned. It also includes three ramen restaurants, which demonstrates that 2014's hottest food trend has returned. As always, these are ordered roughly by the priority with which I think diners should try them, but they all have something to offer. As family comes to visit from out of town, why not pick at least one of these restaurants to try something new? It'll be memorable. ​Ronnie Killen's first restaurant inside the Houston city limits may only be a week old, but it's already showing serious promise. The former Bramble space has been given a subtle but thorough makeover that includes a new floor, new lighting (most of the Edison bulbs are gone), and, most importantly, all new kitchen equipment. A large, wood-fired grill from J&R Manufacturing powers much of the menu, and it's the key component in Killen's attempt to create an upscale restaurant that blends elements of his two celebrated concepts, Killen's Steakhouse and Killen's Barbecue, into a new restaurant that's greater than the sum of its parts. Currently, the most creative dishes appear as starters. 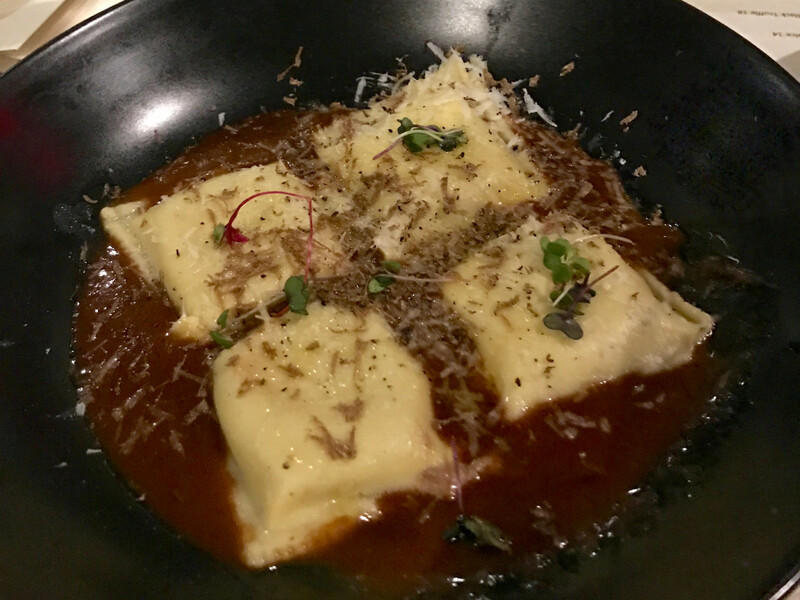 Smoked short rib ravioli featured tender meat in a delicate wrapper, and a corn version played on the same flavors as the chef's celebrated creamed corn. Wood-grilled octopus arrived tender, and the whiff of smoked combined well with the fennel and arugula on the plate. Smoked tomato bisque includes whimsical, mini grilled cheese sandwiches in the bowl. Our entrees also impressed. Beef ribs are a staple at the barbecue joint; at STQ, it's presented on a wooden plank with a sweet-spicy glaze that enhances the meat's fatty richness. Even steaks, in our case a wet aged ribeye, benefit from the grill's hot, fast sear that allows the meat to develop a well-seasoned crust while still being properly medium rare. Admittedly, $28 is a lot of money for a chicken fried steak, but STQ's preparation of its chicken fried ribeye has such a crispy crust and comes with two sides, which almost makes it seem like a deal. The only dish we didn't rave about was the smoked brisket pappardelle; although the housemade pasta arrived properly al dente, the tomato sauce covers the flavor of the beef. On a table where we eagerly traded plates for another bite of almsot every dish, it went mostly uneaten. 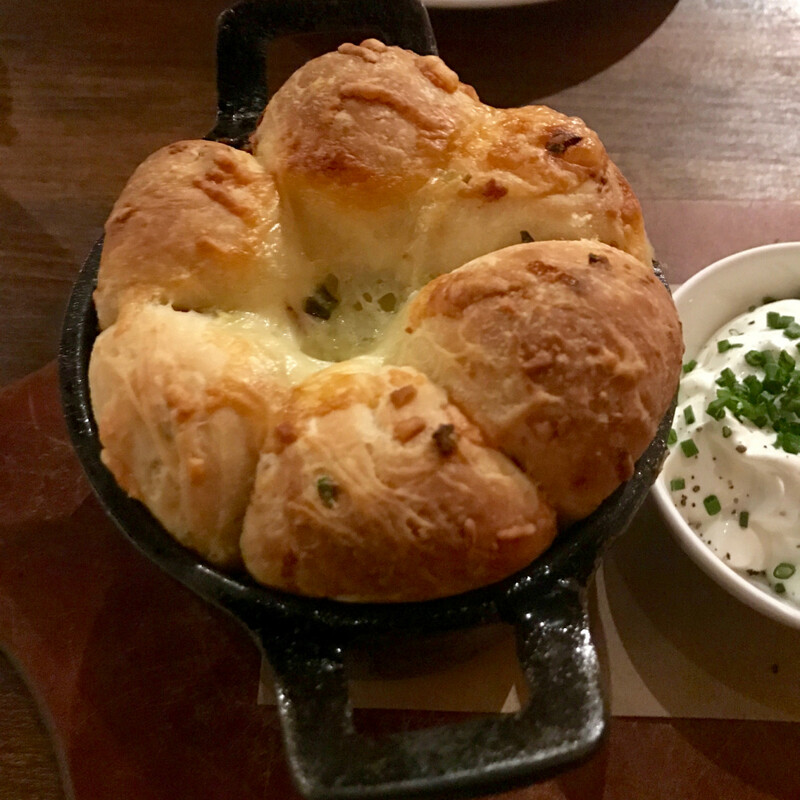 Whether it lives up to Killen's ambitions and earns him national critical acclaim remains to be seen, but even after one visit it's clear that STQ is one of the best restaurants to open in Houston in 2016. If the menu evolves to include a few innovative vegetable and seafood preparations, it could fulfill its potential to be one of the best restaurants in Houston. With its wooden floors, shiplap walls, and vintage stereo equipment, this restaurant feels far more current and welcoming than its predecessor Au Petit Paris. The space feels flexible enough to serve equally well for dinner with friends, celebrations, or even date night. Chef-owner Martin Stayer's menu offers lots of appealing choices, although diners will have to ask the friendly staff to explain what whimsical dish names like "fingerpaint salad" (dip the lettuce in sauce like fingers through paint) or "duck duck goat" (duck confit with goat cheese) mean. 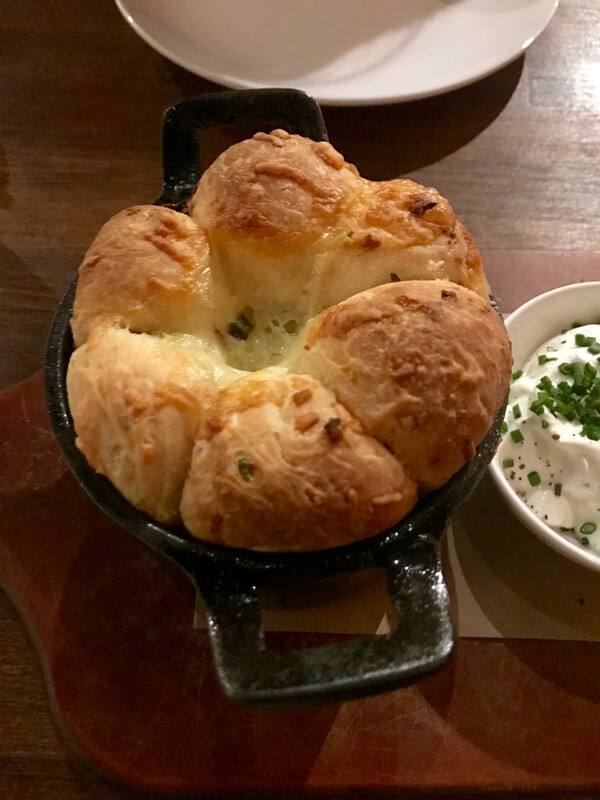 Loaded baked potato bread needs almost no explanation; the pull-apart loaf comes packed with so much bacon and melted cheese that the included sour cream and chive dip almost seems superfluous. 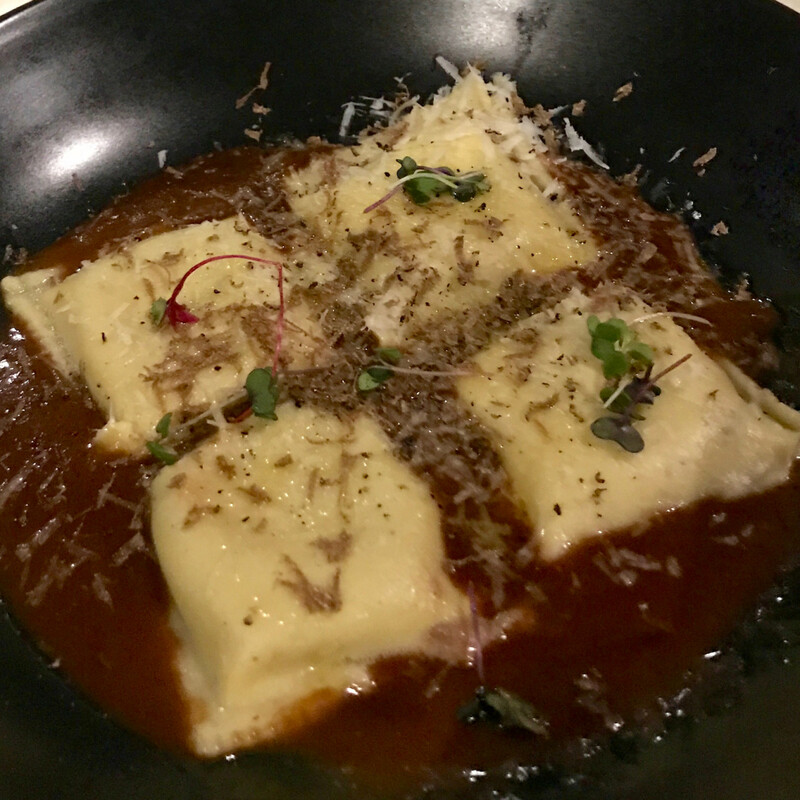 A pasta special of a single raviolo filled with cheese had a thin wrapper and lucious interior that showed off Stayer's fine dining chops. A few subtle tweaks could make the dishes even better. For example, topping the beef tartare with deviled egg is a smart, Texas-inspired riff on the classic, but the amount is so thick the flavor of the beef gets lost. Similarly, capellini pasta would have benefited from being slightly less al dente. Quibbles aside, the well-priced wine list, appealing cocktails, and fun atmosphere make lingering easy. That it's open until midnight even during the week makes it particularly useful. My biggest regret over two visits is not bringing enough friends along. The menu offers a section called "HOV Lane" that features a whole octopus for the table, and I can't wait to go back and try it. Don't let its unassuming location on Durham near Washington Avenue fool you — this recently opened restaurant, which came to Houston when chef-owner Sheel Joshi decided to flee high operating costs and burdensome regulations in Los Angeles, offers one of the most satisfying Indian dining experiences inside the loop. Joshi's housemade sauces and careful preparations elevate familiar dishes like vegetable samosas and lamb Rogan Josh. Tandoori lamb chops arrived properly medium rare, and the seasoning enhanced the lamb's natural flavor. A friend who lives in the area recognized her neighbors at adjacent tables. Expect the word to continue to spread as diners discover this hidden gem. Speaking of restaurants near Rice Military, this Argentina-Peruvian restaurant has replaced Los Cucos on Memorial Drive. 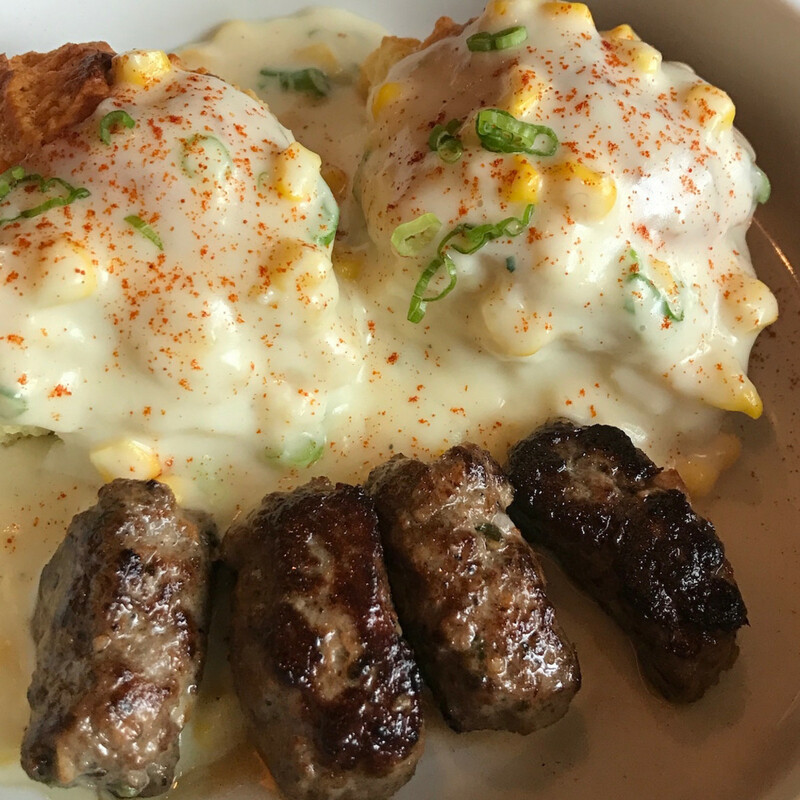 My friends and I found well-executed versions of classic dishes like the mashed potato causas and, anticuchos (grilled beef heart). The seafood in a ceviche benefited from its zippy, citrus-spiked leche de tigre, while still offering firm shrimp (mushy shrimp in ceviche being pretty much the worst). Even an undercooked fried rice dish featured enough carefully prepared seafood that we picked our way through the chewy grains. Friendly, welcoming service and a warm atmosphere make Che Inka the sort of place that deserves to be busier. 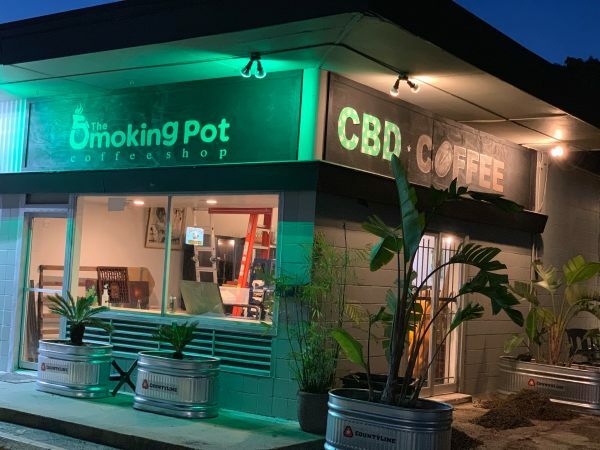 This Hawaiian import has already opened two of its planned three Houston-area locations in the Energy Corridor and Westchase (the third at I-10 and Washington Avenue will open in January). 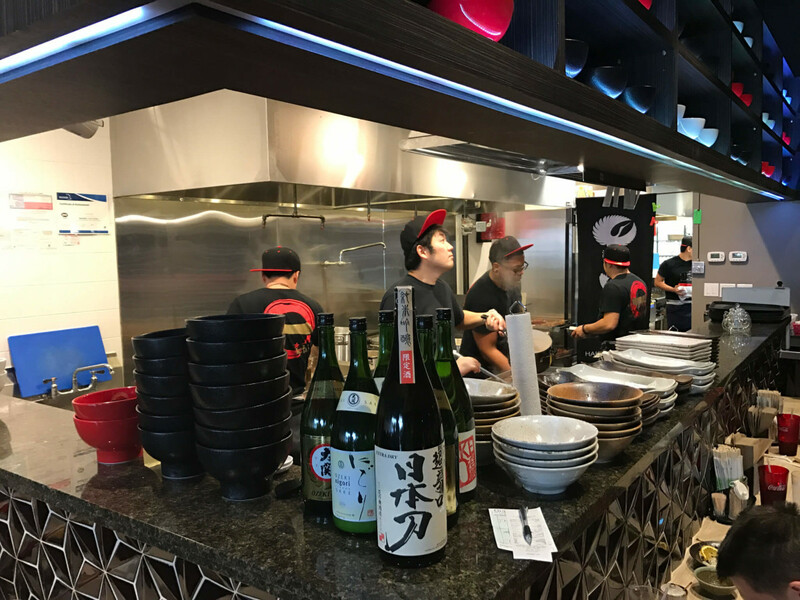 Chef-owner Hisashi Uehara says he developed his recipes after visiting 600 ramen shops in Japan. The result of all that research are intensely flavored broths that offer surprising twists on tradition. 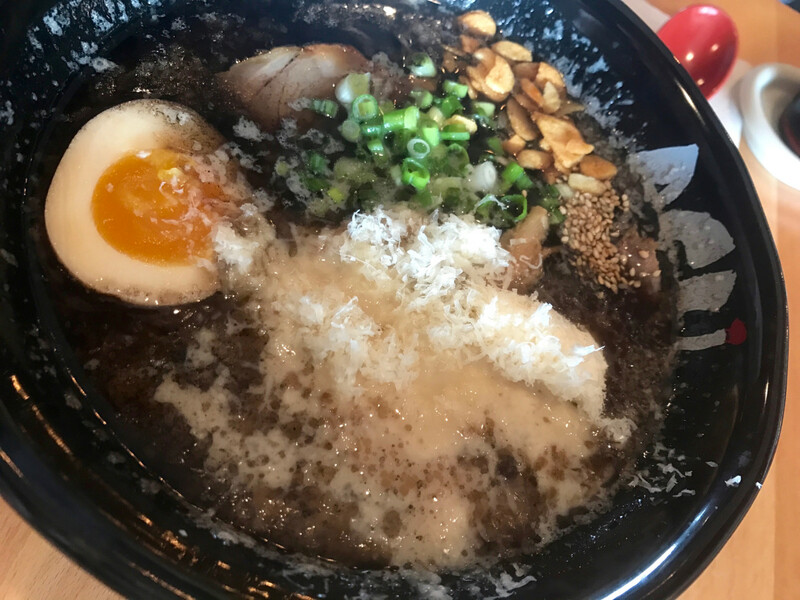 For example, the garlic-spiked koteri broth can be ordered with a topping of parmesan cheese for added creaminess and even more of an umami kick. While chicken is usually an afterthought for ramen obsessives, Agu's Jidori broth delivers a rich flavor, especially the spicy yuzu version. Starters have been hit or miss for me on two visits. Maybe the upcoming addition of poke bowls will offer something worth ordering consistently. Still, the noodles are worth checking out by both ramen enthusiasts and newcomers. 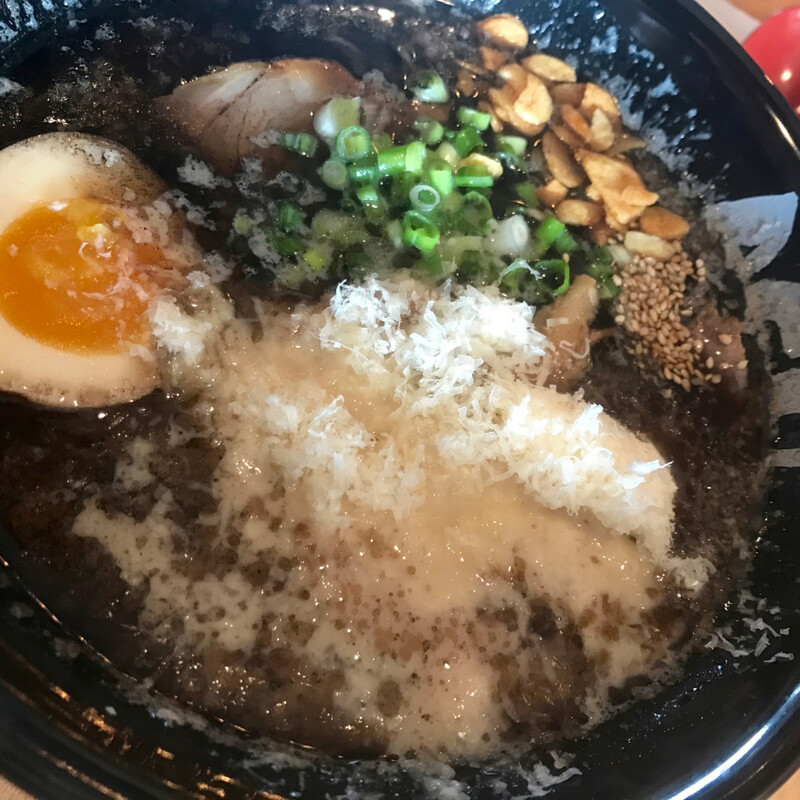 ​This month's second ramen option serves a more traditional menu than Agu, which makes sense considering its located next to the recently opened Japanese grocery store Seiwa Market. The menu keeps things simple, with only a tonkotsu and veggie broth, along with starters like fried chicken and potato salad. 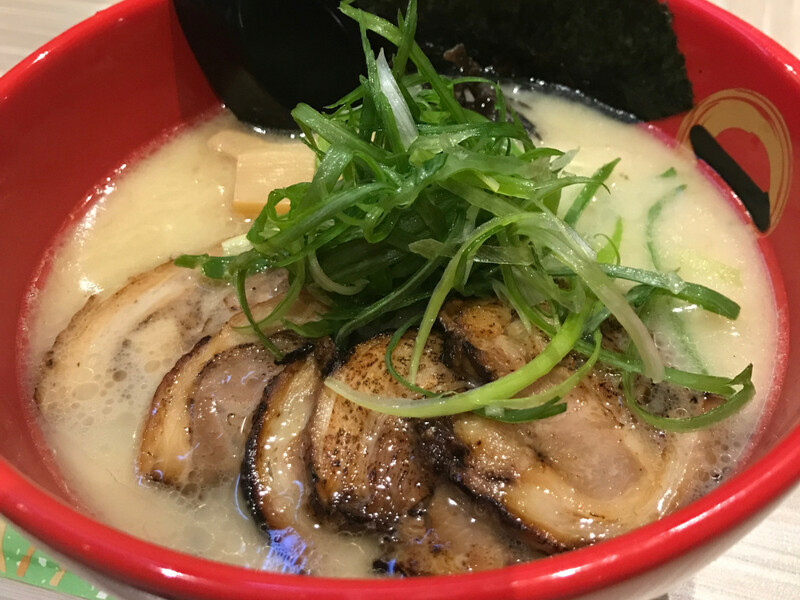 Thankfully, the tonkotsu broth possesses an intense depth of flavor, with the signature creaminess that comes from boiling pork bones for hours. Well-executed toppings and nicely chewy thin noodles round out the package. The small space doesn't have a lot of seating, but a long bar and quick service mean tables turn quickly and small groups shouldn't have to wait too long for seating. For now, the restaurant is only open for lunch from 11 am to 3 pm, although a trial run of dinner last weekend hopefully means longer hours are on the way. 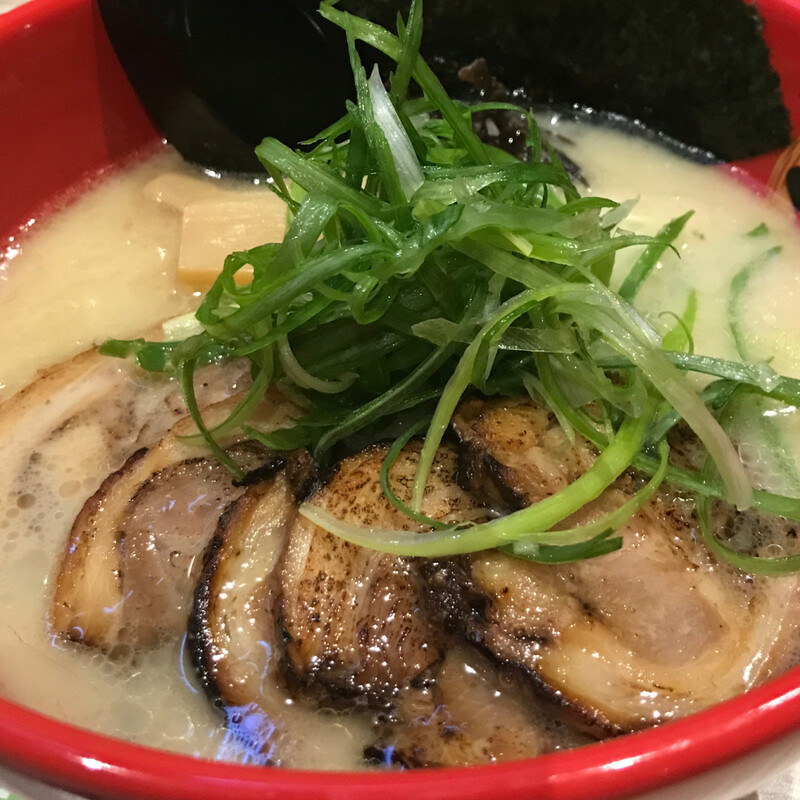 After a couple of visits to Rice Village's new ramen restaurant, I've come to realize that its strengths lie away from traditional tonkotsu. Chef Rob Frias has created something unexpected with his shoyu beef ramen and chicken broth-based red curry ramen. Go with those and let the fusion flavors pop. Non-ramen options like a cucumber salad with Asian pear and housemade french fries topped with the same beef short rib as the ramen help the restaurant broaden its appeal for warm days. ​Credit the Salt N Pepper Group for knowing what its customers want. Whether its at their Midtown bars like Irish Cowboy and Pub Fiction or the craft beer sports bar Beer Market Co., the company has a knack for putting its own twist on familiar concepts. Recently opened in downtown, the company's new taco joint, Dizzy Kaktus, provides a solid riff on the gringo tacos that have made places like Torchy's Tacos and Velvet Taco so successful. Consider The Texan, which combines a chicken tender with queso in a flour tortilla. Like the name, it seems a little silly, but no one denies the satisfaction of the familiar flavors. The "Pork on Pork Crime" tops pulled pork with a chicharron for a mix of textures and flavors that's hard to resist. While I'd like to see the company swap out its Austin-based tortilla purveyor for a local provider, the flour and corn versions the restaurant currently uses are good enough. Combine the creative flavors with the lively decor and late night hours, and it adds up to downtown's newest late night hot spot. The popular, South African-inspired fine dining restaurant has branched out with this fast casual sister concept. The menu mixes new items like naan tacos and banh mi sandwiches with dishes that incorporate signature Peli Peli ingredients like pork belly and oxtails. Of the dishes I tried at a tasting, the roasted Peli Peli chicken and curry chicken over rice were the most appealing, but the fluffy naan makes for a welcome twist on tacos. 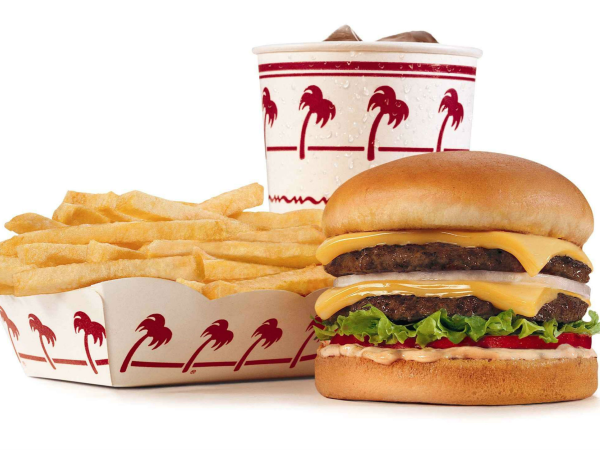 The super friendly staff and enthusiastic service that's a hallmark of the fine dining restaurants have made the transition to the fast casual sibling. That, and the reasonable prices, should make the restaurant a welcome addition to Spring Branch — and beyond. A new restaurant from the owners of Mala Sichuan that features hand-pulled noodles seems like the sort of place that should be causing a foodie firestorm, but I've seen very little online about the Chinatown newcomer. Maybe that's because the restaurant doesn't appear to have any sort of online presence, and its chalkboard menu is written entirely in Mandarin. As of my visit, the restaurant also only takes cash for payment. When I inquired what the characters mean, the staff told me I could get the noodles either stir-fried or in soup with lamb meat. Feeling somewhat ecumenical, I ordered both. Unfortunately, that meant passing on the refrigerated display case full of dishes that included a couple of salads and roast duck, but ordering a restaurant's specialty usually works out well. Overall, I preferred the stir-fried version due to its spicy seasoning. The long, wide noodles become very slippery in the soup broth, which makes them hard to pick up. Also, in a city that's embraced aggressively spiced noodle soups like ramen and pho, Let's Noodles mild broth doesn't offer enough flavor to make finishing the bowl a satisfying endeavor. Still, I'll be back with friends to try some of the dishes in that case, as well as for more spicy noodles. 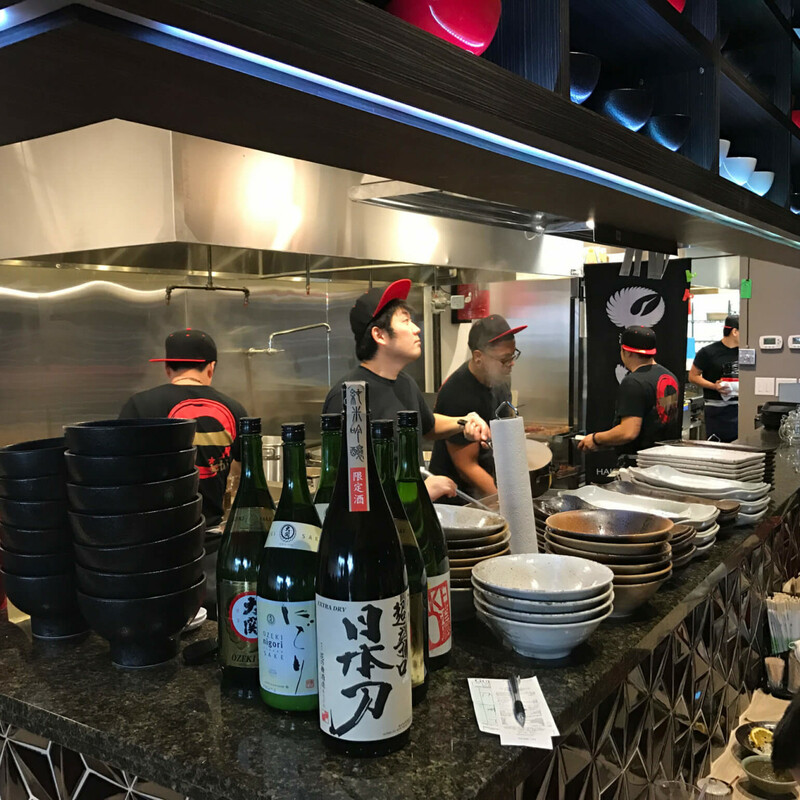 After Houstonia food critic Alice Levitt raved about her lunch at this recently opened Japanese restaurant on Shepherd Drive, I looked forward to my visit, but we seem to have had very different experiences. When I entered on a recent weeknight, I found the attractive dining room about half full. 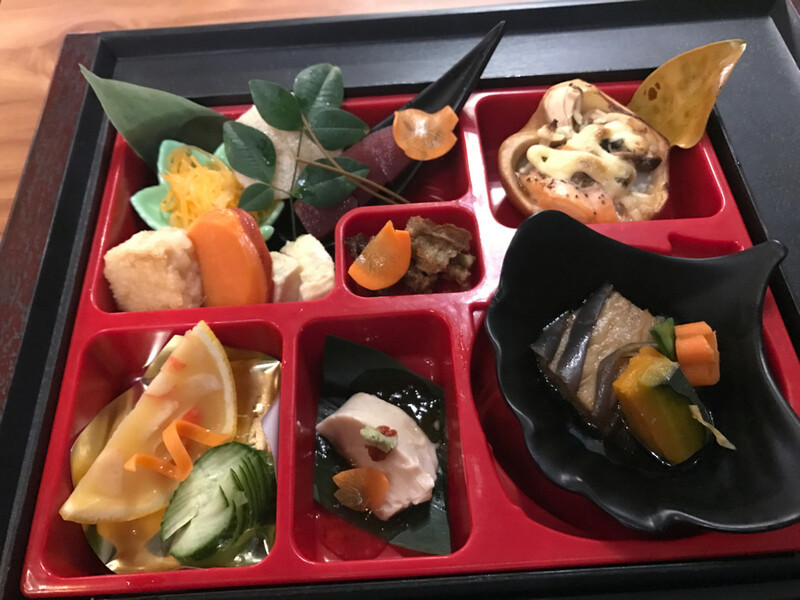 As I was eating by myself, I chose the bento box-style Zen Shokado Gozen with sashimi, which comes with small portions of several dishes including chawanmushi, miso soup, and grilled salmon. I supplemented with a couple of pieces of nigiri sushi from the day's specials. 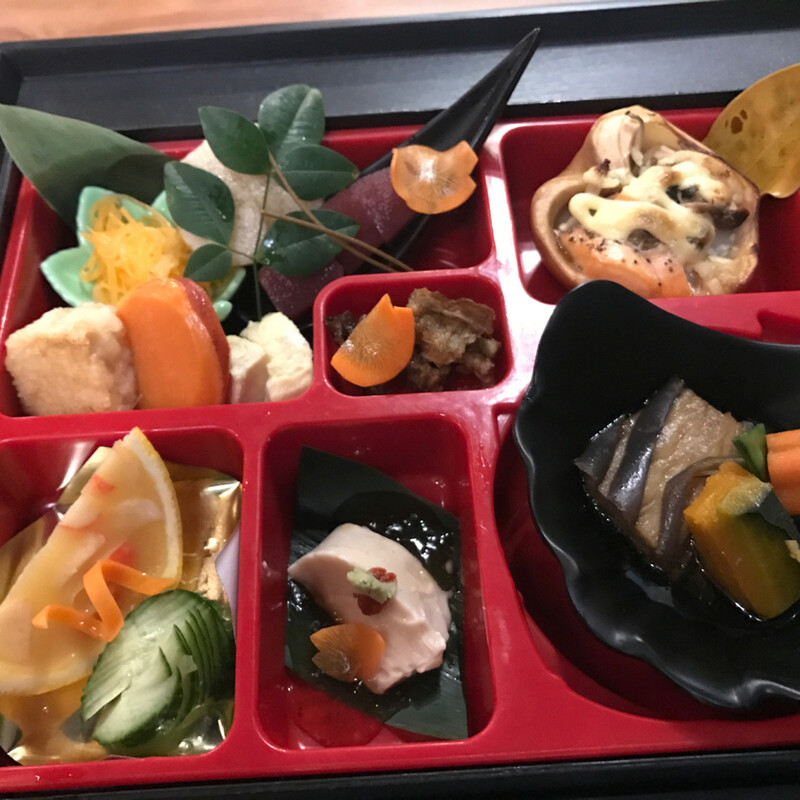 The dishes in the bento box varied wildly in their execution. A cod fritter was chewy and flavorless, and the salmon had been overcooked. A few pieces of marinated fruit faired better. The two pieces of tuna nigiri arrived with baby's breath flowers for garnish, which struck me as odd, and the fish's flavor didn't match the quality served at places like Kata Robata. Zen Izakaya offers a pricy kaiseki tasting menu that must be reserved in advance, but it would be hard to feel good about committing to the expense based on my experience. Now that renovations to the Museum District-area wine bar and coffee shop have turned it into a proper restaurant, former Soma chef Gabriel Medina has been able to implement a new menu. 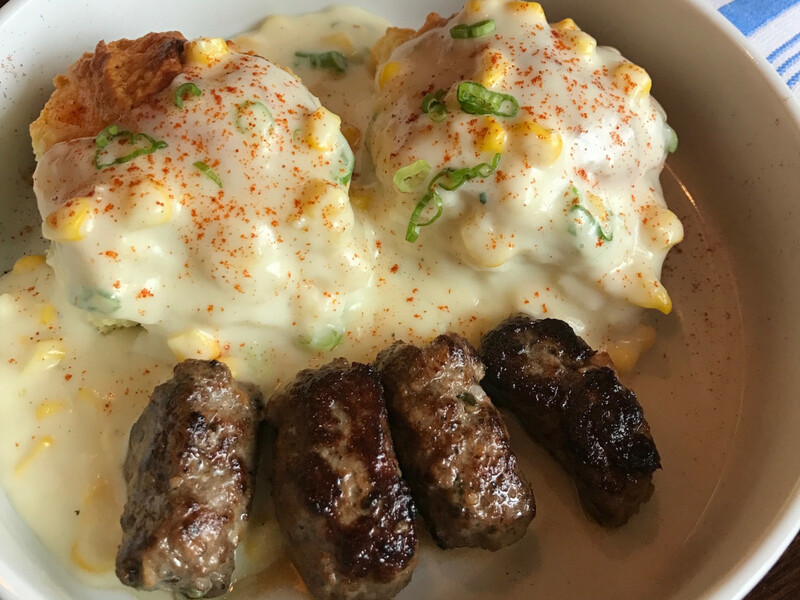 At breakfast (which runs until 2 pm daily), Bosta now offers dishes like sausage and biscuits with homemade lamb sausage and four different kinds of pancakes. Changes to lunch and dinner are coming more slowly, but Medina's pastrami, which is cured and smoked in house, is must-try for fans of the highly-spiced deli meat.